Looking for a startup job in Taiwan? Or, looking to hire talent for your growing startup? Check out some of the talent pool sites below to find or list startup opportunities in Taiwan, including some from our TSS Starting Lineup member companies. Also, consider getting involved or attending events within the local startup community. You’ll have a chance to meet all kinds of talent already passionate about startups, and you may just bump into your next hire or employer! Are you a job seeker looking to join an exciting startup? Or, are you a startup that is looking to recruit rockstar talent for your team? Well, look no further as we’ve compiled a list of trustworthy and relevant jobs portals that will help you get connected with the right employee/employer. *TSS Starting Lineup members can also receive exclusive perks and discounts from many of the job platforms indicated below. Join Starting Lineup and start hiring your all-stars today! CakeResume is a hybrid of a traditional resume and a personal website. It helps you introduce yourself in the way that you prefer. In addition, CakeResume creates a free platform for companies to post job vacancies and also provides companies an ability to search for talent via keywords through a talent pool of more than 2000+. Click here for starting lineup perks. Himelight shows off a variety of job seeking candidates each with their own unique personal branding. Recruitment is made easier for both employees and employers as candidates’ skills and attributes are placed at the forefront. Himlight also provides courses for students on resume writing and other training opportunities. Click here for starting lineup perks. Yourator is a Taiwan-based startup serving as a job recruiting platform targeted at the startup and internet industry in Taiwan. Special features that cater to the Taiwan market include listings for Taiwanese talent with Japanese cultural or linguistic expertise. Click here for starting lineup perks. AngelList is an international US-based startup focused on bringing together startups, angel investors, and job seekers on their website. Besides helping startups raise money online, the AngelList jobs section is often used by many Taiwan-based startups targeting international talent. INSIDE is a Taiwan-based news website covering topics related to the Internet industry with a wide range of articles looking at online business, marketing, entertainment, finance, big data, Internet of Things (IoT), and virtual reality. In addition, their website offers both a recruiting service and a jobs board with opportunities at Internet startups. Mit.Jobs is a Taiwan-based social jobs platform that seeks to be transparent to both employers and employee. Job seekers will receive rewards when getting hired and recruiters can post vacancies for free. Search for Talent (好人網) is a member company of the non-profit Epoch Foundation that mentors and educates young talent to prepare them for a future career and connects them with ideal job opportunities. Search for Talent (好人網) also hosts educational learning events and even manages its own unique internship program. Startup Jobs Asia is a jobs portal with listings primarily focused on Singapore, Malaysia, and Hong Kong, but listings can also be found for Taiwan and other countries within Asia. The site additionally categorizes job types useful for startups including co-founder, intern, and contract worker. Want to dig deeper into the Taipei Startup Community? Check out these startup organizations and companies below for events and activities to network and scout out talent if you’re a startup. Or, make yourself known to startup recruiters and the overall community if you’re a job seeker. NTU Garage is an early-stage incubator run by TEC for young entrepreneurs and startups. NTU Garage provides early startups with free co-working space, mentoring training courses, and helps connect them with overseas accelerators and venture capital funding. Click here for starting lineup perks. NTU Garage’s managing organization, TEC, is a startup ecosystem created by National Taiwan University that runs large-scale startup events, introduces talent to startups, builds social networks, enhances youths’ professional skills, and inspires entrepreneurship. ALPHA Camp is a tech and startup school with presence in Hong Kong, Taiwan, and Singapore. Alpha Camp helps talent in Asia build careers in technology while developing future-ready skills and an entrepreneurial mindset. They’ve also built a professional network to help employees succeed in the digital industry. AppWorks is an active accelerator in Taiwan’s startup community. Focusing on Mobile Internet and Internet industries, AppWorks not only helps Taiwan’s startups get started, but also helps them expand and scale. Backer-Founder is a crowdfunding consulting agency in Asia with a focus on, domestic and overseas markets. Besides managing Taiwanese projects, Backer-Founder also co-operates with international teams to bring projects to the vast Mandarin-speaking market. 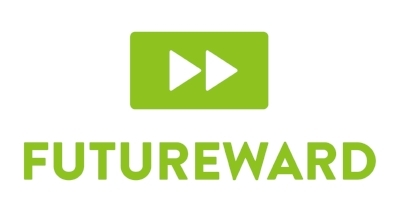 From workspace to hardware to market insights, FutureWard is a startup ecosystem builder that provides necessary resources for startups. Besides co-working space, FutureWard also provides social meeting spaces and function rooms for startups to use. FutureWard is a place for makers, artists, and dreamers, from both local and international teams to realize their dreams. Garage+ is an incubator supported by the Epoch Foundation and focuses on early stage startups in Big Data, Smart Devices, Healthcare, MedTech, and Agricultural industries, among others. Garage+ is the first and only incubator to partner with MIT CSAIL (Computer Science and Artificial Intelligence Laboratory, Massachusetts Institute of Technology). Girls in Tech (GIT) is a global non-profit organization focused on the engagement, education and empowerment of girls and women who are passionate about technology. GIT helps the growth of innovative women entering into the high-tech industry and building startups. HackNTU’s unique talent pool consists of students from renowned universities, as well as engineers and hackers from around the world. HackNTU offers talented students opportunities to demonstrate their skills and abilities to potential employers by having them code practical applications or compete in public events. Jumpstart focuses on cultivating entrepreneurial leaders for organizations by connecting top talent with peers, mentors, and industry professionals locally and globally. Ladies that UX has a Taipei-based branch that holds meetups for women to discuss UX in a friendly and informal setting. MOX, or Mobile Only Accelerator, helps mobile startups from around the world acquire millions of users in Southeast Asia, Eastern Europe and South America. MOX has 150+ million users on its smartphone platform and offers free user acquisition and investment in return for equity and revenue share. Women Who Code (WWCode) is a global non-profit organization that inspires women to excel in technology careers while also empowering them to become leaders and role models in the tech industry.